Hey! Firstly thank you for taking the time to have a look at my blog. I agree whole-heartedly with your message here! 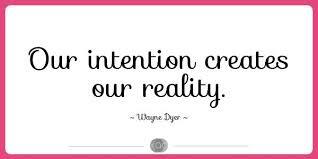 Once we create a positive intention of what we want in life, and go out to do it – everything that fulfils that intention starts being attracted into our lives. I love the story about Jeff – it’s difficult to imagine how far a smile goes but sometimes it can make the biggest difference!